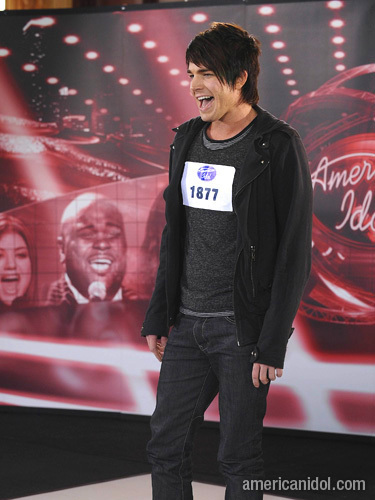 I wanna go see ADAM LAMBERT in concert woo hoo! Now how or when is a whole other issue but after falling in LIKE with him over last season's American Idol, I know watching Adam perform would make for amazing entertainment! 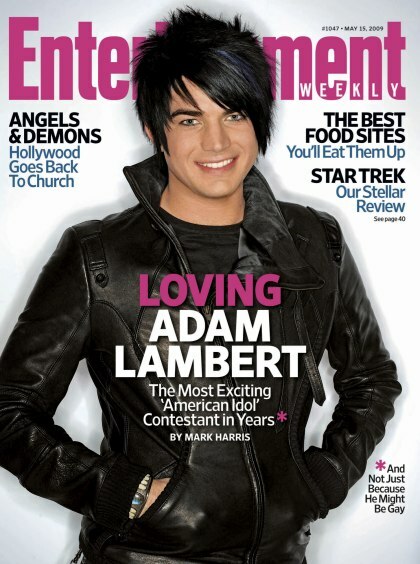 Check out his Entertainment Weekly cover! I concur - AL is definitely the most exciting AI contestant we've seen in years and I know his concert is one I would most love to watch right now! Doesn't he have a superstar smile by the way? Okay enough swooning over Adam and for those concert-going peeps out there, listen up for I have found the perfect site for you to book all your concert tickets online! A Cheap Seat is a professional ticket broker with access to many events across the US. The good people at A Cheap Seat negotiate great prices on many tickets; allowing them to pass on those savings to buyers, who in turn will save plenty when it comes to great seats for premium sports events, concerts and theater performances. Just browse through the huge ticket inventory here for all your ticket needs including Electric Factory Tickets, Jersey Boys Tickets, Hammerstein Ballroom Tickets and so much more! I hear the customer service is awesome too and the friendly online ticket brokers will be online to ensure you get the best seats to premium events without having to wait on hold or stand in line. It all sounds awesome and oh so convenient and I wish we had something like this here. Then, when and if Adam comes to town; I can be assured of having the best seat in the stadium when he wows us with his spectacular performance! Go Adam Go! heheh.. ok ok.. now can eat edi.. lol!! Chop LJ woo hoo lucky sempat buat before deadline hahahaha! Good morning Monica! I haven eaten anything yet so hungry now Mon! U? U made it GG!!! Added points edi to mah FCSB, u Top Meow currently!! Now kena tunggu B sat hahaha! yayks! i still made it! musta ang tulog te mon? :-D :-D :-D :-D :-D leading leading! gonna eat soon.. hungry like a cow! I saw ur RT GG< thanks! yeah i woke up edi!! LOL! See what I mean Mon.. MORNING ladies hahahha! Hugs GG! Benji says hellooooo where’s my kofi? Meow! Musta GG? Dah mandi and makan? LJ third spot woo hoo, no need change badges la like dis, just change positions heheh! Mon! B was reading comments at meow and he LOL at ur comment on my comic post…cause u asked is dat Benji hahahah then I told him la u foreva confused with meows LOL!! hahahahhah yeah MORNING ladies!!! LOL!! I haven dropped EC yet GG!!! GG crying and meowing her way to the top dis month!! WOW Monica understands and replying to GG it seems!!!! I know hahah I told B dat oso just now! Chubbs it seems ROTFLMAO! Yeah then going to uptown for din din.. you? Haven done anything yet hahahah must eat first then only do the rest! tulog means sleep. musta ang tulog means how's your sleep? =-O =-O =-O =-O nov not yet over GP! what is Hindi ko maintindihan Mon? just eaten dearie.. my second meal of the day.. yiha!! street.. same company as chicken pie! LJ makan edi! haha Burp!! hahahhahahahha.... burp indeed.. excume hor.. lol! Iconic chopper indeed with the tears hahahah!!! LOL Benji crying now no kofi!! Hahahha is it GG? ANTS!!! I didn know! Yup yup and I still got more to post GG! Meow! Just like TL eh GG? Must try few times then only tweet goes through! I will drop after I come home later woo hoo! Oh me allergic to blueberry dearie, but would love a choc cake!! mee curry... how's the potato curry toast? I love the potato curry toast, last time chic curry toast, now potatoes je… chinese style curry like dat, my fave!! hahhaha... that's why lah.. wah like this can be very addictive lor..
Kan? Asyik2 wan to win, wang besar wang besar kind of excitement yeeha! yeap.. if this week awesome for me lah.. coz i not around next week.... lol! wang besar wang besar... ahhahhahh! Lucky la we all won this week kan, best tu menang! Suddenly only I saw email coming in then I checked TF got winning message there for u and me woo hoo! yeah? i tak nampak apa pun.. suddenly check email banyaknya from twitter..
no i don understand dat's why i said Hindi ko maintindihan Gagay! hahahhah!! Comic post IS Benji!!! Meow meow!!! Cause yest no draw kan, so didn expect anything so soon, some more me with my missing tweets can still win, woo hoo!!! I tot u konpidently replying to GG, Mon lol!! ohhhh Comic post IS Benji!!! hahahaha okok!! that's why lah.. so its ok even if you get those messages.. lol! LOL u mean u didn know it was Benji ke? Hahaha yeah la, dat’s Benji, da one that can’t drink kofi haha! LJ, Hindi ko maintindihan = i dont undersatnd! i love blueberry cheesecake..yum! yum!! Still not okay cause if all tweets go through, greater chance to win but for tonight not complaining cause I won I won hahaha! haha.. yeah.. no complains tonight!! wohoo!! So hard to remember maintindihan! yeap me dropping too.. and got work also.. so see you ladies in a bit ok!! Me dropping for meows now…126 only! wah so fast ah....me dropped 1 only! hahaahah so funny la Benji can�t drink kofi!! Hahah I think it’s funny too but Doctor GG say cannot drink kofi, hahaha! yeah she said Benji cannot drink kofi coz later become darker LOL! Dats why la some more Benji is not even dark to begin with, u hear dat Doctor GG, Benji very sad now hahahahahahha! Looks like there is another Adam Lambert here haha! Hi! I seldom drop by meow diaries cos I thought it's all about meows...i mean cats! LOL! Is Adam Lambert a cat? he meows? Haha! Oh yes, Adam is the man! He's the superstar singer! Kris Allen is nothing next to him. Meows so sad u seldom drop here Foong,meow! Kris Allen is okay la but ADAM is WOW!!! Such a pity he didn’t win the title! LOL Foong no like meows maybe? Just got back is it Mon? yeah just got back from supper....u makan edi? oh GG oso zzz... u oso gonna zzzz soon kah? I am trying to drop my last 300… slowly dropping here…u dropped edi? I dunno can drop full for MPG or not, so lazy and tired to drop today….dropped at TUO edi tho…phew! Sure no worries Mon… I dropped 150 edi for MPG…150 more.. aiyo. Nasty comments??? Like what and which post eh???? Curious cat now! Why his reader felt offended? What was the nasty comment about, u don remember? I cant remember reading that post Mon..
Wahhhhhh really??? Why la say like dat, whats wrong with the poem, oh no… so what did Foong say??? Take pic of what eh? what take pic of what? u talking to me ah?? Oh I read edi……. the post and Foong’s response… aiyooooooo very small matter la, so funny, just for fun mah!!!! Talking to LJ, take pic.. lol! oh talking to LJ, hahahah okok! hahha.. take pic of what GP? U la asked me to take pic of something LJ, dats why I asked what pic eh? LOL! Yeah la I told B cause interesting stuff like dis must share! LOL! Hahahahah tu la takkan keep on laughing like a freaking fool there who don understand the post hahah so funny!! If angry, sure wan to express our anger, if funny post sure wan to express our laughter hahahahaha!! !